This typeface design was inspired by Tim Holloway’s Markazi typeface, with his encouragement, and initiated by Gerry Leonidas as a joint University of Reading and Google project. The Arabic typeface, designed by Borna Izadpanah and design directed by Fiona Ross, is a text typeface with moderate contrast. 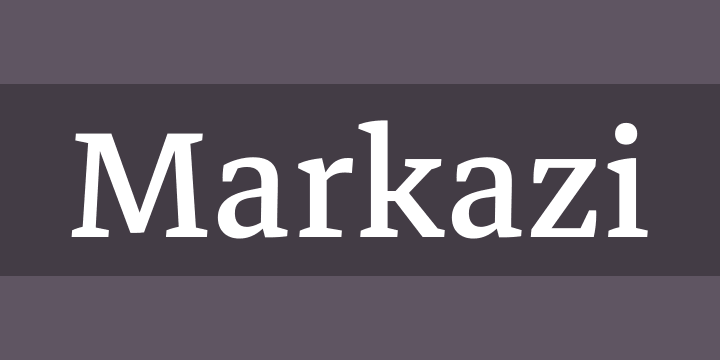 It takes its cues from the award-winning Markazi typeface, affording a contemporary and highly readable typeface. The complementary Latin typeface was designed by Florian Runge. It keeps in spirit with its Arabic counterpart, echoing key design characteristics while being rooted in established Latin traditions. It is an open and clear design with a compact stance and an evenly flowing rhythm. 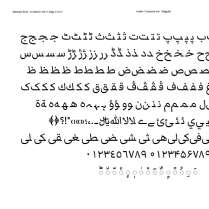 Both Arabic and Latin are available in four weights with extended language support suited for print and screen.